Little Big Town's Karen Fairchild found herself up in Bloomington last week, shooting a video with John Mellencamp for a song called "A Ride Back Home." The song is from John's Life, Death, Love and Freedom album, produced by T-Bone Burnett (who also produced the Grammy-winning Robert Plant and Alison Krauss album), and Karen features prominently as a harmony vocalist on the album. "A Ride Back Home" is a duet, and Mellencamp's peeps are hoping the video will receive airplay on GAC and CMT. "I would love it if country radio would play that," Karen said. "The song is one of my favorites on the record. John says it's about loneliness. For me, it seems like a song about a man contemplating his life and asking the important questions." "The song's about life's loneliness, and that's what we tried to get across in this video, but I don't see it as sad," John added. "It's more of a timeless, positive, spiritual message. When I looked at the chapel where we shot it, I thought of June Carter and the Carter Family up there. Karen sang on about half the Life, Death, Love and Freedom album with me in this fashion, so it just made perfect sense for her to be in the video. She's such a great singer." John and Karen shot the video in a chapel on the Indiana University campus, where they had to physically remove dozens of Hoosier fans who were there praying for the return of Coach Bobby Knight. "The shows have been going amazingly well, in spite of a bad economy," Karen said. "I think people want the escape." I knew that she would/could gut it out after doing a downwinder on Maui with her one day in 45 mph gusts...psycho conditions coming out of Maliko Gulch...the wave runner launch for Jaws on maui's North Shore...GOOD JOB DEB!!! Healthy Waters, a first of its kind program, allows Werner customers to direct dollars to a non profit of their choice. It works like this; the consumer, post purchase, goes to www.wernerpaddles.com and chooses the Healthy Waters button. This takes them to a short questionnaire about their demographics and purchasing decision. At the end of the questionnaire they can choose from a list of non profits and Werner will make a donation in their name. "We are very proud of our commitment to the natural world. Healthy Waters is a great program for differentiating our product from the competition while giving the customer the ability to support a non-profit whose focus is access, water quality or education. This is a win for our customers, our dealers, our non-profit partners and for Werner Paddles," says Jim Miller, Werner’s Marketing Manager. Water is the source of life and for a Water Man you may say that life's purpose is to get back to that source as often as possible. Every surfer in this DVD has shaped his life out of water. Seven men, seven different stories yet they all have one thing in common. An uncommon commitment to the freedom they find in the ocean. Join Laird Hamilton, Dave Kalama, Gerry Lopez and Rob Machado, along with Chris, Keith and Dan Malloy as they venture into the heart of Indonesia, into a hidden paradise of colossal barrels and perfect waves. Water Man takes you on an intimate boat trip with some of the most influential surfers of our time as they bodysurf, paddle surf, hydrofoil, stand up surf and tow surf in the Indian Ocean. Venture beyond the shallows of the surf culture into a deeper shade of blue. Surfer Poll awarded this movie the best cinematography in 2008. 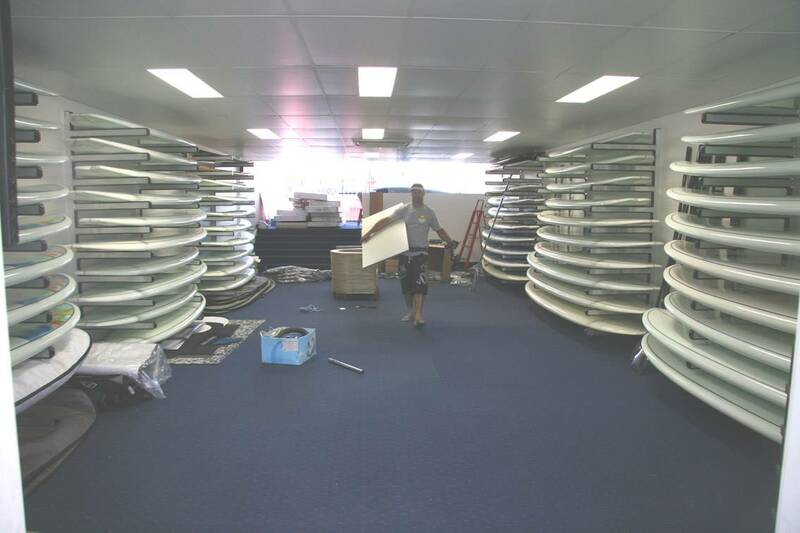 Starboard's SUP Line Expands Exponentially!!! Introducing 4 base technologies, producing 6 actual design options, in 10 different shapes. Starboard is also adding on a revolutionary Stand On Top kayak program with 3 shapes by Jim Drake for February shipments, our avenue into the vast kayak/canoe market begins. Technora: Our very lightest sandwich technology. Complete top and bottom PVC/glass/ Epoxy Sandwich. Full EVA deck. No mast track or strap inserts available as this is a weight conscious model. There will be a growing demand in the market for the lightest SUP. Sportech: Our legendary Wood SUP. Wood deck/glass epoxy compression molding, 3/4 EVA deck. Mast track and strap inserts available as per overview. Tufskin: Our impact resistant range. Available in popular Camo Blue, cool Camo black, and the rainbow colored Candy. Glass epoxy compression molding with wood reinforcement on the deck. Full EVA deck. Mast track and strap inserts available as per overview. Classic Tufskin is available with the break through Star touch deck texture. Star touch, grips when wet, no more wax jobs, no EVA deck, all yellow and white. No mast track or strap inserts and the weight reduction at 1.2 kg by also taking away the EVA deck. We expect this unique technology choice to become our best seller, as its also our price point. Werner Paddles recently unveiled new innovations in its Stand Up Paddle range at the Surf Expo Trade Show in Orlando Florida. The Werner Nitro is a smaller, Performance Core, carbon paddle and the new Adjustable 3-piece shaft which can be found on all of the SUP models. The new Werner Nitro has a carbon blade with a foam core, which adds buoyancy for effortless paddling, and comes with an all carbon shaft. The longer narrower blade is perfect for dynamic surfing, quick turning and lends itself to higher cadence paddling. The carbon shaft is indexed, adding comfort control and is light weight. The Nitro comes in at just 20 ounces for a 78" 1-piece paddle. Get in line now because the Nitros’ initial reviews have been stellar. The Nitro starts at $299 and will be available at Werner Paddles dealers in April 2009. Another innovation from the folks at Werner is the Adjustable 3-piece paddle. The top piece telescopes its length and locks in at four settings, each 1.5 inches apart. This is great for moving between touring/cruising (a little longer) and surfing (a little shorter) or sharing with a friend (you'll tell them to get their own soon enough). The shaft also takes apart closer to the blade, creating the ultimate travel paddle. The Adjustable 3-piece paddle will brake down easily to pack into your carry on luggage. 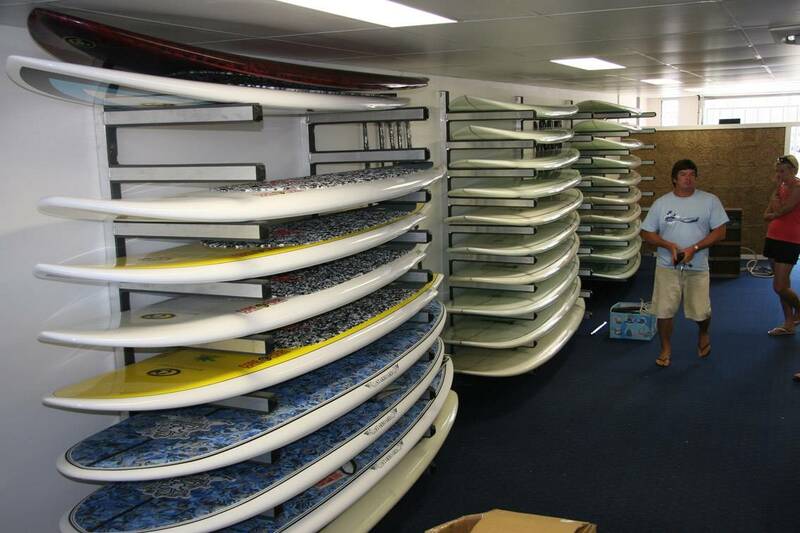 "We got a lot of request for a smaller break down paddle for traveling. Many people are happy to rent a board when they travel, but want their trusty Werner Stand Up Paddle when they are on the road", says Jim Miller, Werner Paddles Marketing Manger. The full range of Werner paddles now come in four shaft configurations. 1-piece; the lightest weight option and best value. 2-piece; which takes apart with push button ease, a great choice for those who travel with their paddle. Adjustable Length 2-piece; with four telescoping lengths for those who move between touring and surfing. The NEW Adjustable Length 3-piece; combines the telescoping feature and the take apart travel feature in the ultimate traveling paddle. Werner Paddles is the leading manufacturer of high quality kayak, canoe, and stand up paddles, operating near the banks of the Skykomish River in Sultan, WA.